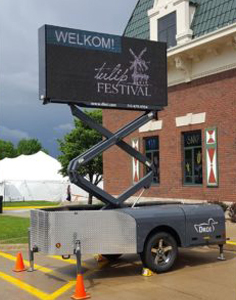 DKOI is a full-color mobile sign, built to bring your message anywhere. Easily advertise new businesses, open houses, sales, special events, or anything you can imagine. Don’t turn piles at the back of the pack any longer. 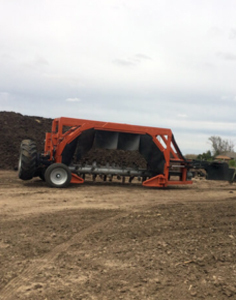 Kooima Trner’s innovative new rotor design allows for faster travel speeds with superior product movement and aeration. Visit the Kooima Ag Website! 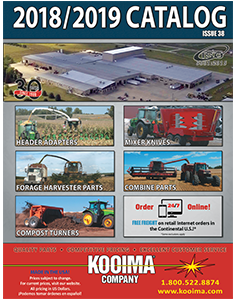 For over 25 years Kooima Company has been manufacturing replacement forage harvester parts, combine parts, mixer knives, header adapters and more! We are an independent manufacturer of replacement parts, because of this we are able to produce quality parts at competitive prices.